Calm After the Storm – Botanicals Calming Lotion Review - Reclusive Fox ""
I’ve been lucky enough to review a couple of Botanicals products, the Foot balm and the Facial Serum and I’ve been impressed by both. 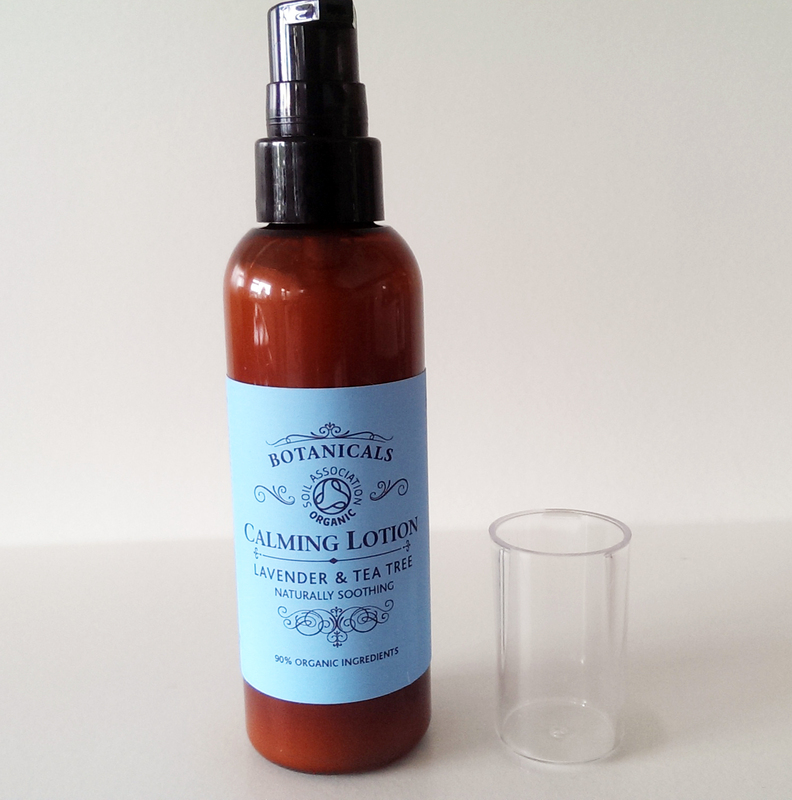 So I was delighted when I heard about the brand new product recently launched by Botanicals and I was thrilled when the bottle of Calming Lotion arrived on my doorstep. I adore Botanicals and perhaps the main reason for this love is because their stance on ethical beauty. They don’t test their products on animals and they use natural and organic ingredients throughout their entire range. They’re so good they’re fully licensed by the Soil Association, which not many companies can boast in the beauty industry. We need more people like Wendy Stirling and her team! Okay, I’ll stop raving on about Botanicals for a second and tell you about the Calming Lotion. The ingredients include Lavender and Tea Tree; both incredible natural ingredients that are extremely skin friendly. These two main ingredients have been chosen because they’re naturally soothing and that’s exactly what your skin needs. This lotion is specifically designed to help smooth and calm your skin after hair removal. The label says that the lotion will help support the natural elasticity of the skin by replacing moisture that is lost through the hair removal processes, whether you shave, use depilatory creams or wax. 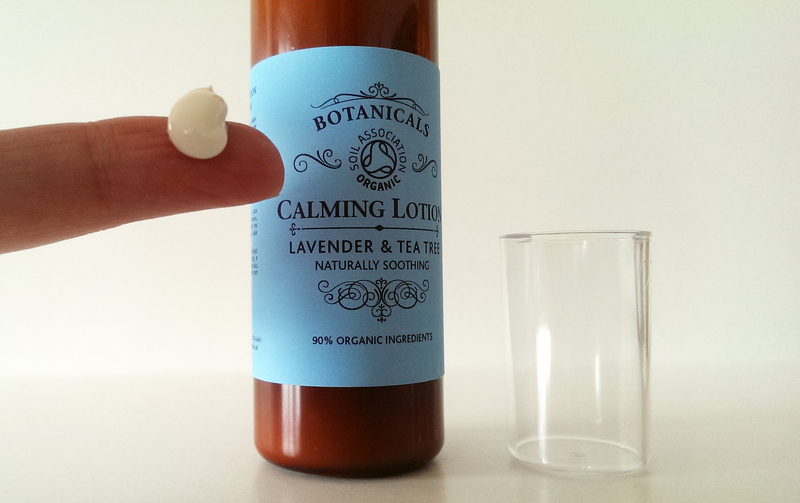 The Calming Lotion comes in a smart looking bottle with a useful pump. it’s easy to use and the bottle looks great on the bathroom cabinet, but does it actually work? I’ve been using it since Sunday. I shave once every couple of days or so as I like to remain silky smooth (I’m not a fan of waxing or the use or depilatory creams so shaving really is the only option I have at the moment). After shaving I sometimes experience redness and I do suffer with dry skin patches, especially over my shins. My skin seems to gratefully absorb the lotion and the moisturising effects are instantly noticeable. It feels great on hot dry skin, rubs in really well and has a delicate smell. It works great after shaving but it’s just as good as a normal after bath moisturising lotion. In fact the label states that it can be used daily and that it can help prevent ingrowing hairs too. Another thing I really love about Botanicals is the scent of their products. Many natural and organic beauty products have very strong smells, they almost tingle and sometimes even sting the nose. Botanicals have it spot on. Their products have gorgeous, fresh smelling aromas that are not overpowering in the slightest. While I love the effects of lavender, I’m not really a fan of the smell but Botanicals have found the perfect balance. One squirt of the creamy lotion is about enough to cover your forearm. It’s thick but it rubs in within a few strokes so there’s no need to worry about spending a lot of time pampering your skin after your bath or shower. It doesn’t leave the skin feeling greasy or sticky, just incredibly soft and very well looked after. Yes, it does what it says it will do, it calms and it soothes. Do I recommend it? Of course! My skin feels soft, I haven’t suffered with dry shins all week and I feel great knowing that there are no nasty chemicals or parabens being absorbed into my system. If you appreciate organic skincare why not show your appreciation by popping over and giving Wendy a quick vote. Botanicals new Calming Body Lotion has been shortlisted for the Best New Natural Products in the 2014 Pure Beauty Awards. Voting ends tomorrow so you don’t have long and I would love to see Botanicals take the top spot. 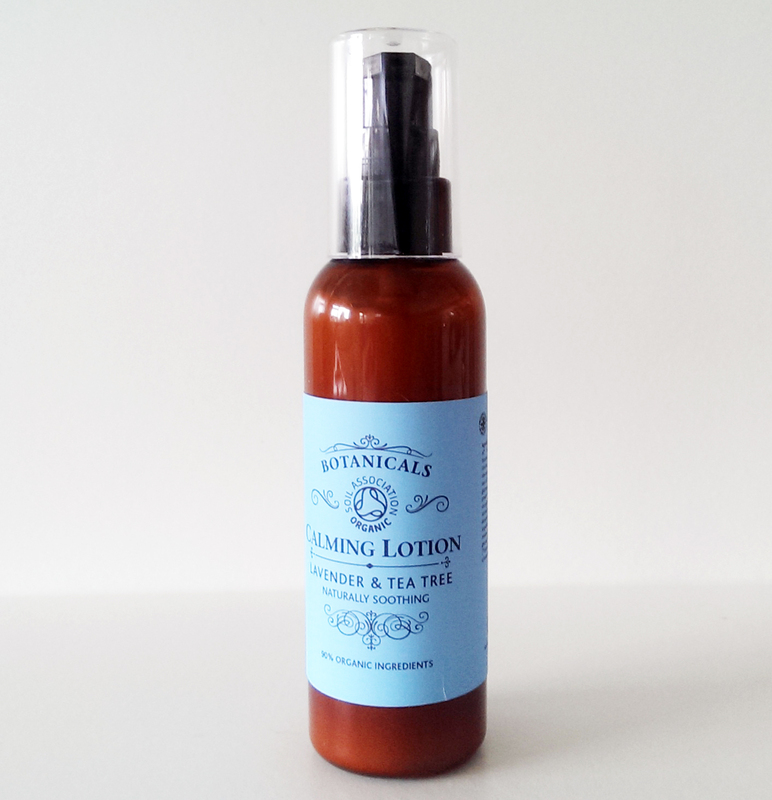 If you’d like to try the Calming Lotion yourself, or treat someone who deserves it, head on over to the Botanicals website and pick up your bottle for just £14.75. That sounds like a really fantastic product woll have to try it. Great thorough review. Not heard of this brand before.